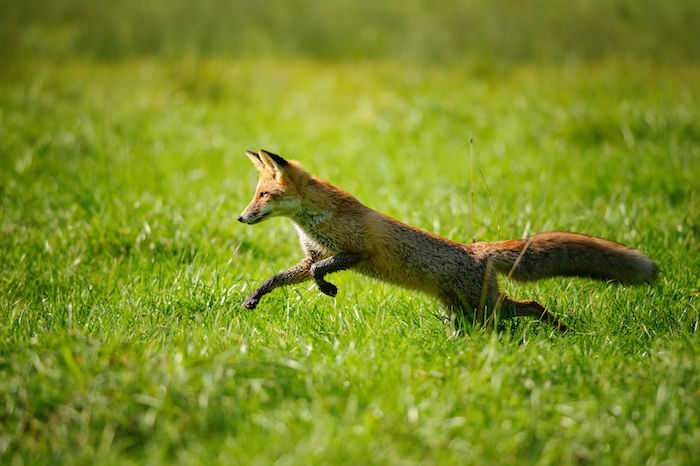 When the fox appears in you life as spirit animal, it encourages action and quick, swift moves. You may be called to take action in a way that shows your adaptability and ability to move quickly through obstacles and resistance. Being inspired by a fox totem, you can work at developing the sharpness of your mental skills: Analytical intelligence, power of deduction, observation can come into play more powerfully in how you deal with daily matters or bigger projects. The spirit of the fox may also imply that you are sharpening your physical alertness and responsiveness. It is a stupid goose that listens to the fox preach. Want More Fox Quotes? Click Here! The fox is known for sneaking into homes and getting away without being caught. Because of it’s characterized by its cunning ability, this animal has acquired the image of trickster in a number of cultures. When the fox appears in your life, it may indicate that you need to pay attention to people or circumstances that may be deceiving or tricking you into going down a path that does not necessarily serves you. This spirit animal may call you to be more discerning in relationships, whether it’s in business or friendships, or in choices you make for yourself. Following the fox totem wisdom, look for any area of your life where you may be cunningly led to do something else than you would in all reason do. Use discernment in your choices and actions. The fox as a spirit guide offers good teachings about getting around obstacles instead of confronting them head to head. You might find that you could renew or be smarter about how you deal with areas of resistance in your life or projects. Having the fox as spirit animal, you may be guided to learn from lessons in a way that may feel like you are being challenged or sometimes even being tricked. To make the most of the fox totem wisdom, keep a strong sense of humor and be smart of the lessons you learn. The power of the fox is a great support to develop your ability to find the sharpest and smartest solution to any problem. Call on the fox guidance when you feel lost and need help finding you way. Foxes have amazing hearing, they can hear a watch ticking 40 yards (120 foot) away. Foxes are most active at night, but also are day animals. By affinity with the animal totem, you may like to be active and bring your creativity to its peak during night time as it gives you the space to be closer to your natural state. Working with dreams is a particularly useful practice for those who have the fox as a spirit guide. The affinity with the night activities supports the connection with the dream world. The fox is often associated with the dark side of magic. In a lot of cultures, seeing a fox as you start a new project or endeavor is a bad omen. In some Native American belief systems, this animal represents the practice of negative sorcery and the dark manipulation of magic powers. The fox has long been considered as a witty, quick and intelligent. In some European traditional tales, he’s the character who outsmarts humans and other animals alike and gets away even in the trickiest situations. 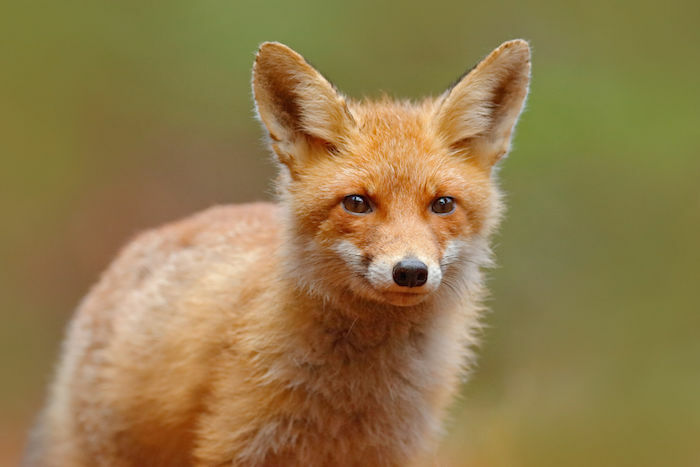 The fox and its ability to quietly and masterfully get into the hen house, have made this spirit animal a universal symbol of being sly, cunning, shrewd, clever, tricky and opportunistic. Therefore a fox in your dreams is often a symbol to watch out for danger from around you. There may be hidden enemies or rivals waiting for the right opportunity. However, the fox may also be a symbol of connecting to the parts of you that are cunning and clever. Is there a situation that requires a clever solution? Is there an opportunity that is just waiting for you to take it? Is The Fox Your Spirit Animal? Post your ideas and comments about the fox spirit animal by using the comments below. Hi I posted the previous comment. The funeral was yesterday and that’s when I saw the dead fox. Today I have just seen another fox, a live fox. This has to mean something?? A few months back I had an astrologer do a reading. That week I had seen a fox about 3 times in my garden. She told me to look out for symbols and mentioned a fox before I even told her. I didn’t know it was important. I just don’t know what it means though. Is it a good sign or bad? It means a renewal of life after death. Live, in honor of those who no longer can. Live wild and free as the fox. That’s a mobkrlreade-. Great thinking! I just had a dream a red Fox attacked be at work and scratched me deeply. I kept asking everyone if i should go to the hospital, But noone wad taking it seriously. What does this mean?? I’m no legit dream interpreter, but in correlation to all that is said about dreaming of Fox spirit, it seems like you are about to get burned really bad by someone, and no one will see it coming. Maybe a “bad” fox (person) is going to manipulate you into doing something that’s going to seriously negatively affect you and no one will take you seriously because of it. But that’s just my interpretation. I would say be cautious in who you trust right now. Have a great day! Perhaps you are the fox from your dream, but you are wounding yourself by denying your true self and purpose. It means wake up from the deep sleep that is your life. You only get one. Live it. Last night, I dreamt that I had bought a new house, but I needed to get something; so I went for a walk to the shop. I wanted to avoid my parents’ home because I was in a hurry; so I walked through a small patch trees. That’s when I saw a beautiful red fox. I stood and admired it while it was sniffing around the trees or looking for something. I hated that I was in such a hurry, but I continued on with my walk. Could that really be a bad omen or warning? It was such a pleasant and welcome dream. Nina, your dream might mean that you are confused about what you want to do in the future but are rushing into something you are not ready for. I haven’t really done much research on spirit animals and their meanings until today. On my way to work I saw 3 different types of animals some up close and personal,all within about a half an hour, which hasn’t been a common occurrence for me in the past. Driving on the freeway, I saw two deer especially close to the road. A little while later I stopped at a coffee shop. Before I got out of my car I started hearing a noise. A black crow was sitting on top of my car making noises and pecking really loudly on the roof as if it wanted my attention. I got out and looked at the crow which stayed there pecking and staring at me as if trying to tell me something. About ten minutes later I was driving to the train station and had to hit my brakes because a small red fox darted out in front of my car. This was in an area of businesses near the train station where the fox would definitely be out of place. Is it possible these animals have meaning and are trying to make me aware of of something or guide me in some way? And is seeing all three so close together mean anything? Any insight is welcome!I will continue reading thru the site also. Thanks for info. Saw 4 foxes yesterday (I’ve maybe seen 3 in my life prior to this) and then today I saw Simon Hainuk’s “Wise Fox” painting posted on my facebook feed. I have had several spiritual teachers and guides that, while helping me, where not what they presented themselves to be. They were false masters and false teachers, feigning knowledge and wisdom they did not truly have. I have learned much from them, I have also learned from their shortcomings – of the folly of the spiritually inflated ego and of the downfall of arrogance in any person, spiritual or not. They certainly have led their students down the wrong oath at times, mostly due to their ignorance and arrogance more than any deliberate manipulation. Also, I have gone through a long and complex road of spiritual awakening that required strong discernment and seeing through illusion. I feel I have done well in freeing myself from my mental, emotional, and spiritual slavery and, while on the path to freedom, there have been many traps along the way. Thank you, Wise Fox, for your guidance and support on this path to awakening. P.S. I feel other relevant symbols to be Archangel Michael’s Sword of Truth – cutting through obstacles in your way and through the vines of lies in the jungle of the collective human consciousness. And The Eye of Horus – to see through the darkness with discernment – to see what is real in a world of misinformation and even deliberate deceitful disinformation (propaganda). Key word (for me): discernment, thinking for yourself. Thank you for sharing this ….walking through this now ….just witnessed the transformation of a Fox into spirit world, he was hit by a car but it was instant and miraculous ….wow Thank You. I am a shadow spiritual healer and I see the shadow side of people, those aspects of themselves that they are blind to, are unacknowledged and projected onto other people as evil. A lot of spiritual teachers get lost in their own human ego and the human power game of manipulation and control. I have found the same things that you have and my lessons have revolved around taking my power back, being discerning and learning to trust my own inner guidance and my own spiritual knowledge. Fox is not one of my totem animals, but my daughters and I don’t fully understand the energy of fox because it is not one of my totem animals. I know that in this life I have had to have black witchcraft cleaned out of my consciousness and black witch craft has been cleaned out of my daughters consciousness. Cleaning the black witch from consciousness was a long and difficult journey. However spirit works through me now in a loving way to deal with manipulative and deceptive black-witches that are running around in society causing harm. Lots of fun, I am learning alot. Ok, so I have not been able to stop drawing/painting foxes and collecting things that correspond them I constantly have dreams about one playing with a raven in a feald of purple flowers. Does this mean the fox be my spirit animal/guide??? And what about the raven ??? I’ve seen 4 foxes in the past week and a half maybe 2 weeks, 3 at night, one during the day. One was definetely red but the others I’m not sure.. Before this I have not seen one in years. I’ve never been spiritual but I do consider myself a believer in signs and omens! What could this mean ? ?